Mahjong Heat was slow to begin. Faraday was very slow to begin (3L). Tasvilla and Eadie Gee collided soon after the start and again on the first turn. Sierra Oasis faltered entering the back straight and tailed off as a result. Tasvilla and Faraday collided approaching the second turn and on the second turn checking Tasvilla. Eadie Gee and Mahjong Heat collided on the second turn. Faraday and St. Regis collided in the home straight. Sierra Oasis was vetted following the event. 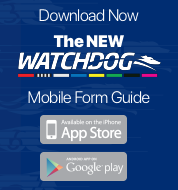 It was reported that the greyhound sustained an injury to the right back muscle. A stand down period of 28 days was imposed. Stewards spoke to Mr. P. Abela, the trainer of the greyhound Faraday regarding the greyhounds racing manners in the home straight. Faraday was vetted following the event. It was reported that the greyhound sustained injuries to a pelvis injury, a 10 day stand down period was imposed. Acting under GAR 69(B)(1), the stewards charged Faraday with failing to pursue the lure with due commitment (by reason of injury). 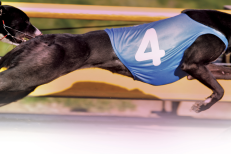 Mr. Abela pleaded guilty to the charge, Faraday was found guilty and stewards directed that the greyhound perform a Satisfactory Trial (all tracks) pursuant to GAR 69(B)(1)(a), before any future nomination will be accepted.